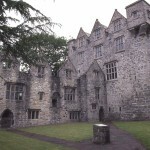 Donegal Castle (Caisleán Dhún na nGall) is located in Donegal Town on a bend of the River Eske near the mouth of Donegal Bay . 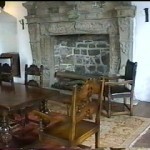 It was built in 1471 in the Anglo-Norman style by the first Red Hugh O’Donnell, chieftain of Tir Chonaill (Donegal). 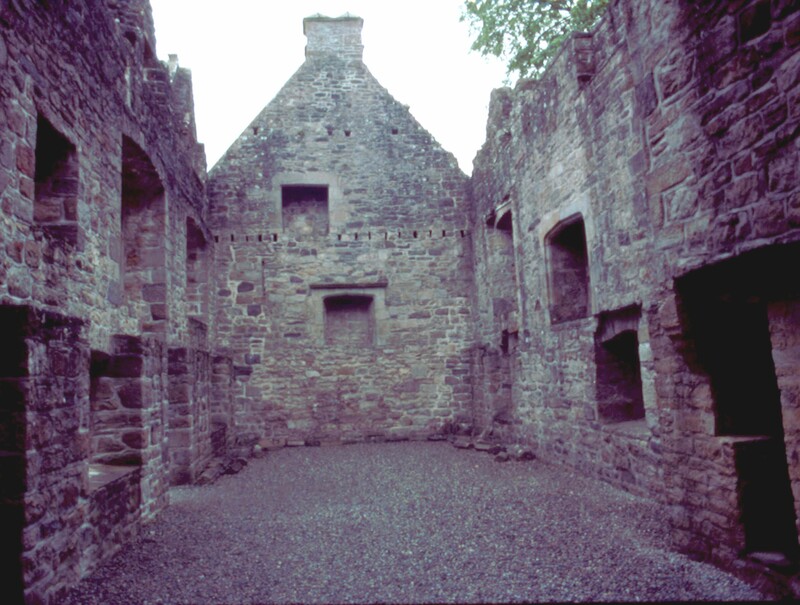 Red Hugh ruled Tir Chonall from 1461 to 1505. 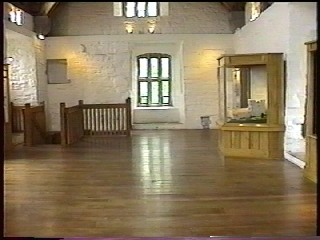 Donegal Castle was located at the site of a previous fort of the O’Donnells built in the 12th century, probably on the site of the Viking Fort that gave Donegal its name, Dun na nGall – Fort of the Foreigners. 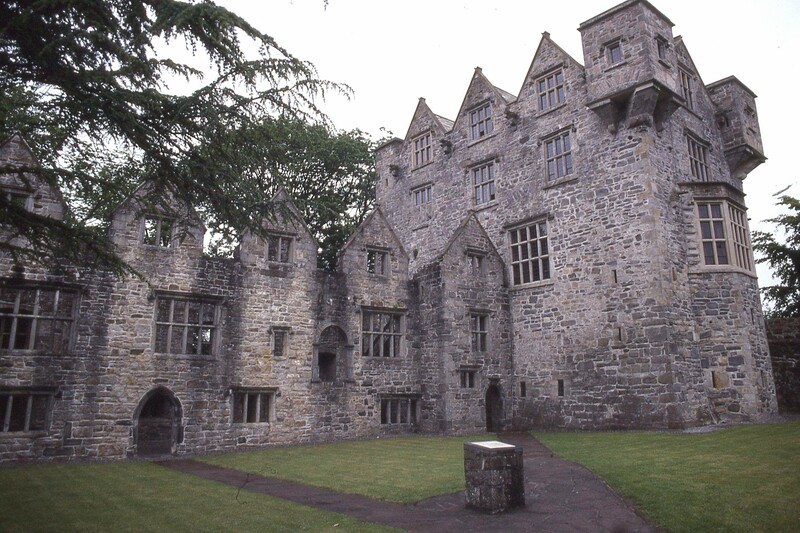 Donegal Castle was the stronghold of the O’Donnell chieftains until it was captured by the English near the end of the Nine Years War in 1601. 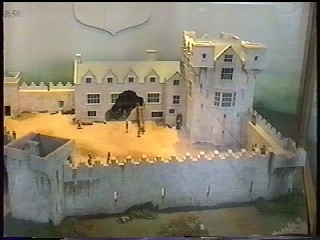 The second Red Hugh O’Donnell, a principal combatant in the war, intentionally damaged the castle before it fell into English hands. 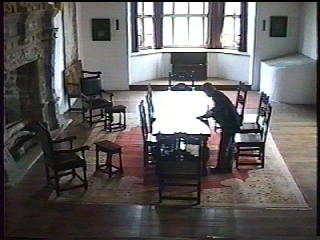 After the Flight of the Earls from Ireland when the Irish were defeated, the castle was granted to the English Captain Basil Brooke. 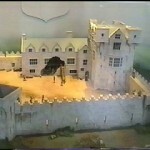 Brooke repaired the damage to the castle keep and added a manor house wing. 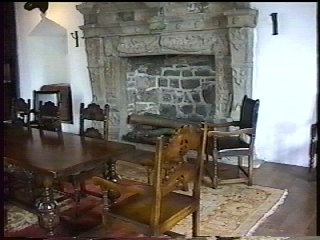 The Brooke family remained in residence in the castle until the 18th century. 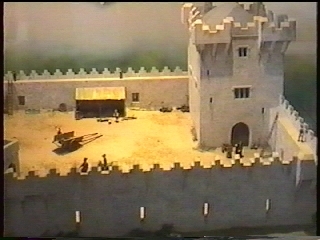 The castle later fell into ruin. 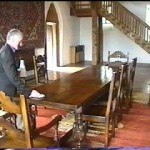 The owner of the property in 1898 donated the castle to the Office of Public Works. 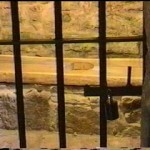 It is now a national monument. 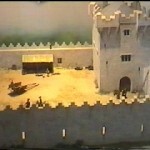 Work was completed in 1996 to restore the castle keep, the O’Donnell Tower. 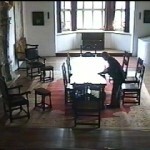 Visitors are welcome and guided tours are provided on a regular schedule. 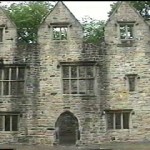 The manor added by Captain Brooke. 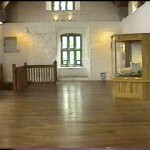 The upper floor of the tower contains exhibits about the O’Donnell chieftains and models of the castle during O’Donnell and Brooke occupancy. 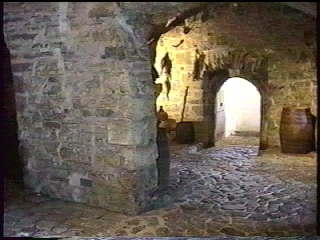 The garderobe is a room off the stairwell that functioned as a toilet. 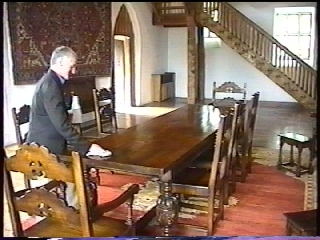 Waste would drop from the seat in the garderobe to the river below, but not directly. 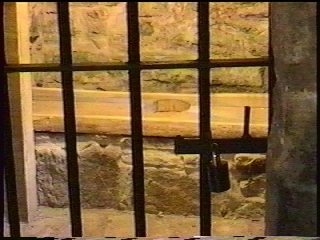 It was angled so that enemy archers couldn’t “surprise” persons using the facility. 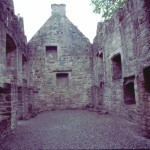 The room was also used to store cloaks and clothing, thinking that the ammonia fumes from urine would keep away fleas. 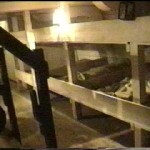 The steps in the spiral stairwells were installed unevenly to trip attacking soldiers as they ascended in order to give defenders an advantage. 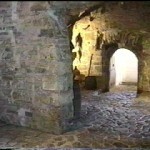 This was a common feature in castles built during this period. 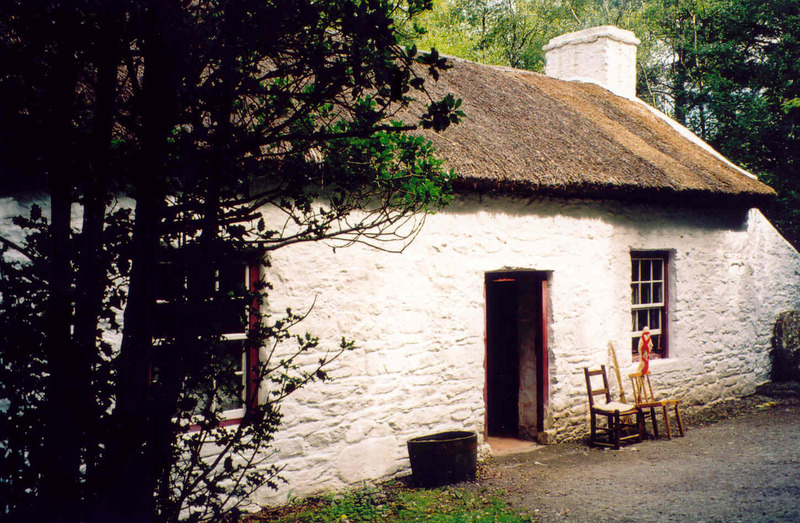 The Ulster American Folk Park is an open air museum located north of Omagh in County Tyrone. 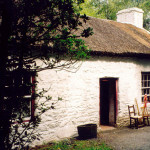 The museum tells the story of Irish emigration to America in the 18th and 19th century. 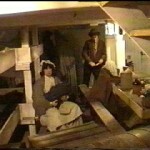 At that time, over two million from Ulster Province left their land for America. 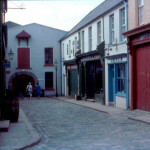 The museum is a part of Northern Ireland’s National Museums and Galleries. 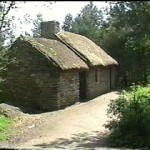 The park contains restored buildings moved to the site from various locations in Ireland as well as replicas of buildings that immigrants would have occupied in America. 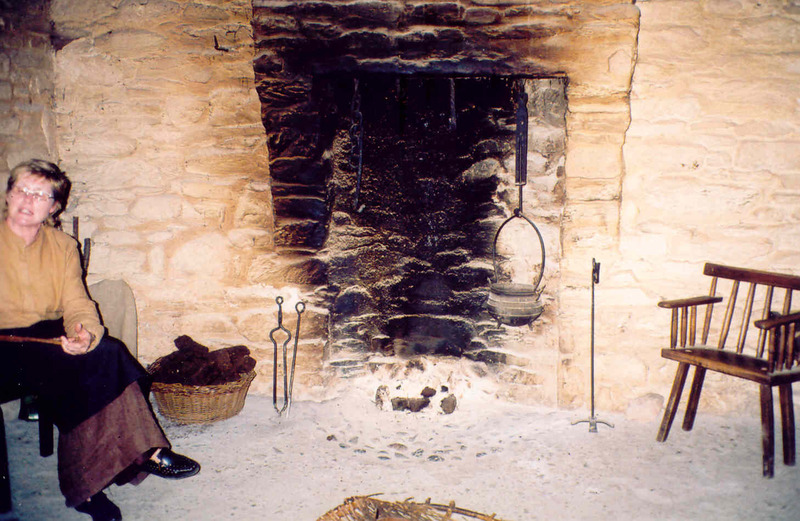 After learning about reasons for emigration in the Emigrants Exhibition Hall, visitors follow a path outside through the “Old World” portion of the museum. 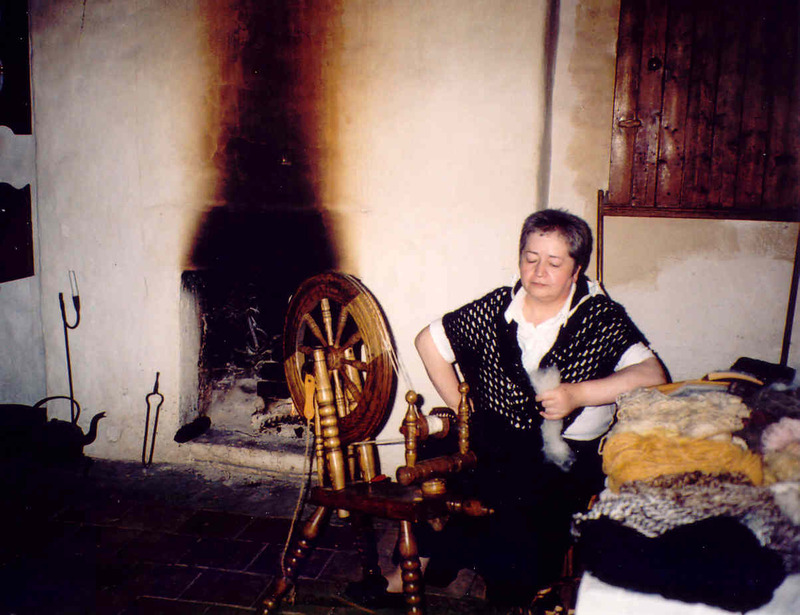 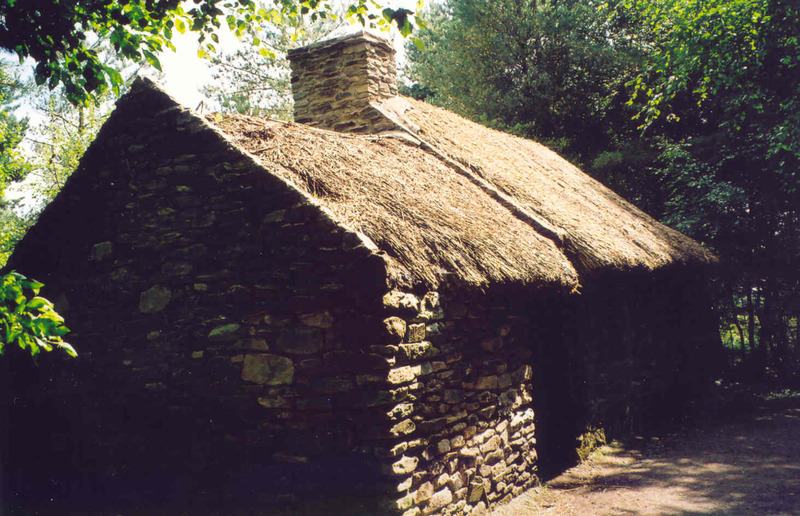 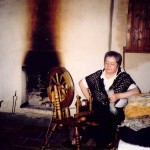 They will first pass a single room cabin, typical of the dwelling of the poor in the pre-famine years, then a forge and weaver’s cottage before encountering a Presbyterian meeting house and Catholic Mass house. 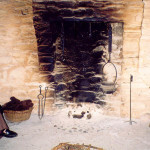 Guides dressed in period costumes can be found in some building to demonstrate trades and answer questions. 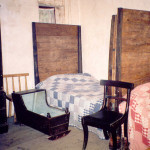 The Mellon Homestead, birthplace of Thomas Mellon who emigrated in 1818 and became a successful lawyer and founder of Mellon Bank in Pennsylvania, is located on its original site in the park. 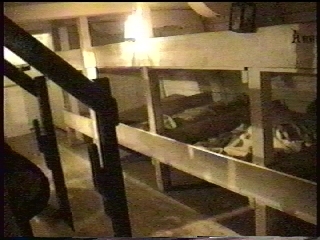 Also, the Irish homes of the Campbell brothers (settled in St. Louis) and Archbishop John Joseph Hughes (first Catholic archbishop of New York) were re-located to the park. 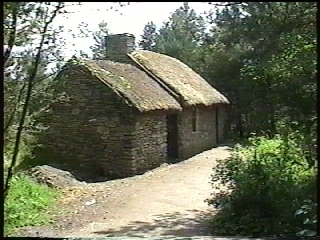 The Castletown National School and the Montjoy Post Office from County Tyrone were also re-located to the Old World section of the park. 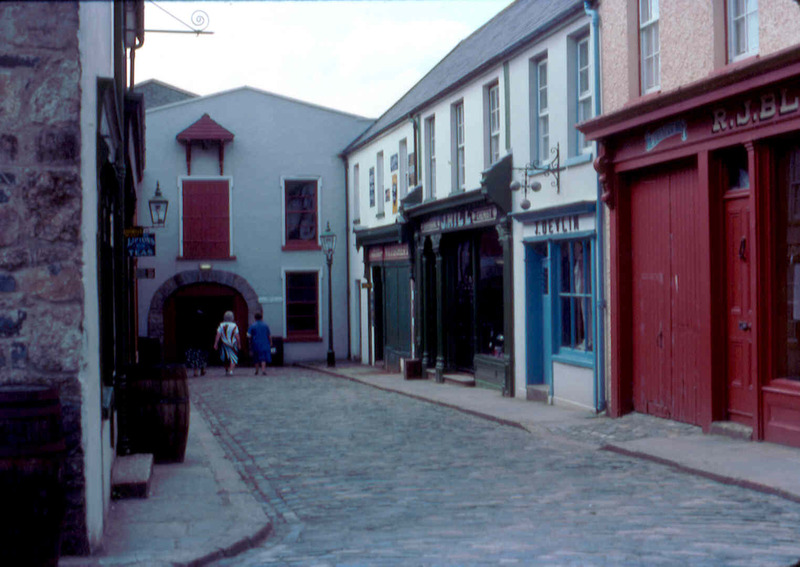 Visitors stroll through a typical street in an Ulster port city before entering a full-sized replica of a famine-era emigrant sailing ship. 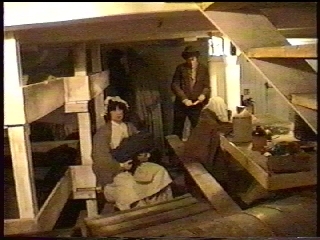 Upon leaving the ship, the visitors find themselves on a typical street representative of an American port city such as Boston or Baltimore. 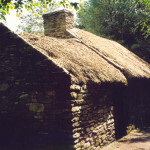 The visitors are now in the “New World” and soon encounters buildings such as the log cabins and log farmhouses of early emigrants. 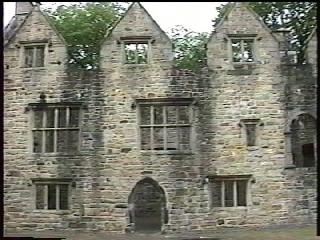 In addition to the American dwellings of the Mellons and Cunninghams, the stone house of Sam Fulton was moved to the park from Lancaster County, Pennsylvania. 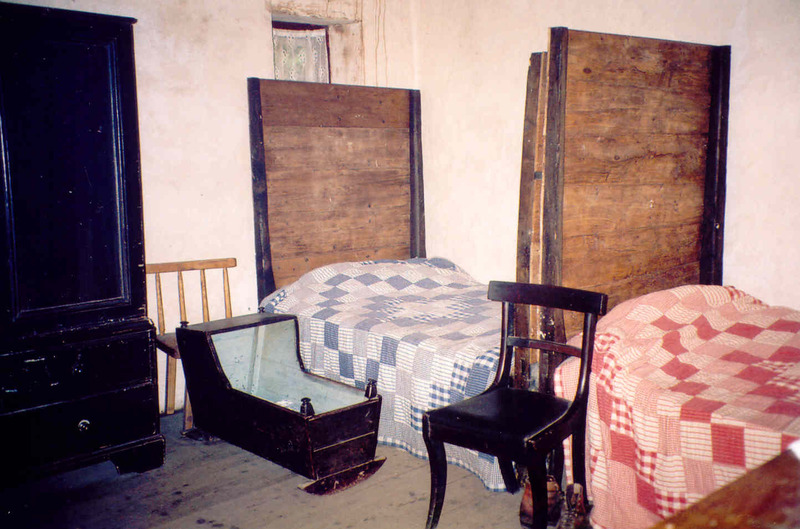 Sam Fulton emigrated to America from County Donegal in 1724 and settled in Donegal Springs, Pennsylvania.